WHILE OTHER KINESIOLOGY TAPES have "rolly" edges, loose fabrics, difficult to cut, or simply stay on for only a few hours, your New FDA & CE approved Physix KTape Stays put, even during that hot sweaty Yoga Classes. Apply it and forget it for several days, providing you long product life & the best value for money. 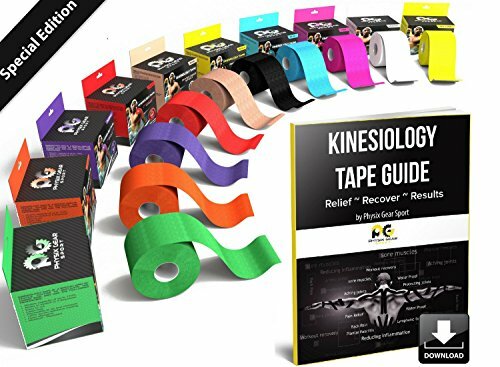 Customers agree, Physix Tape offers reliable fast Muscle Support, Helping Ease your pain, & you'll even look good doing it, with amazing colour options for each day of the week! GET BACK INTO THE GAME by easily reducing chronic muscular pain conditions in joints, muscles, and tendons. Physix tape will be there for you during chores or a 26 mile Marathon. Finally! 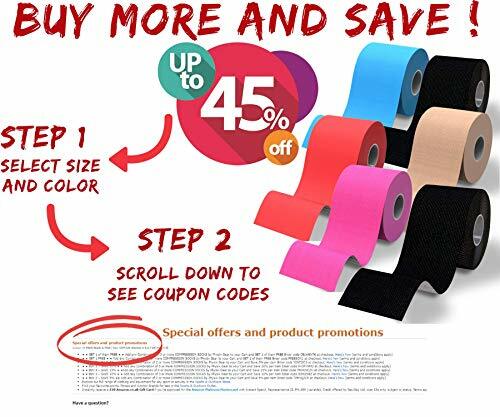 Avoid the frustration of cheaper tapes peeling-off. When applied using your FREE 82 page illustrated eGuide, Physix Tape stay's in place no matter what, even if you're soaking wet with sweat, or after your post workout shower! Maintain PEACE OF MIND and safety as your Ktape works for you around the clock. SAVE TIME AND EFFORT by avoiding residue or annoying Stickiness once removed. Feel confident at home, work, or gym, and push yourself that extra mile, by keeping your knee secure and supported. Get moving again with Reduced Back Pain and Gain Instant Joy as your Physix Tape helps reduce chronic muscular pain conditions. 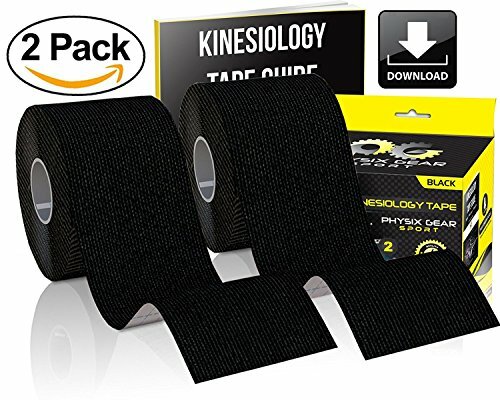 Feel new Hope as the new Synthetic 4 way stretch fibers reduces painful Joints and Gain satisfaction as your Physix Tape Facilitates stronger firing of muscles and tendons. GET READY. TO BECOME, A RAVING FAN! - We cut no corner in our product, and will cut no corners in our support of you! You are making a very intelligent decision doing business with our company. We know you're a big deal, and we'll only provide you with the finest product and service around, or your MONEY BACK! Add your Physix Tape to your Cart, and experience the Physix Gear Sport customer experience phenomenon! Add to cart now to begin the amazing journey!